https://www.youtube.com/watch?v=zG_xEYY-ypE&feature=channel_page <- I did terrible here, haha. https://www.youtube.com/watch?v=b3kAJp_fAXg&feature=channel_page <- Note the second game, on Pirate Ship. PeppyWil owns. https://www.youtube.com/watch?v=SfnvFcZAKQc&feature=channel_page <- Two Metaknights. How am I supposed to win that?! https://www.youtube.com/watch?v=pgYep43Oq6E <- Shira goes against the best player in Ohio. More to come. Feel free to critique, comment, and so forth. 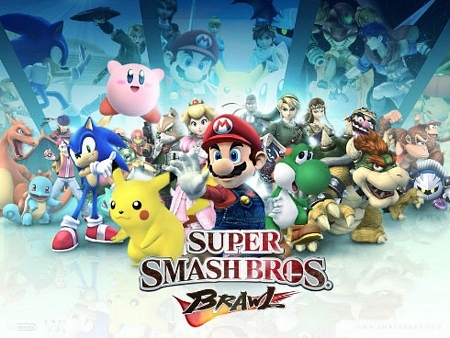 speaking of tournys, i watched the stream of your tourney for 10 hours, and i didn't get to see you or YAY brawl. but i did see AZ brawl. nice counterpick. that guy is awsome. so is tharx, aka areth (or something like that). TD and I MAY be going to some tourneys over the summer. There are all of TWO tournaments by us from now over the ENTIRE summer. Tharx/Areth/whatever is Anther, the best Pikachu player in the world. He just picks random things that sound cool for his ingame tag. Not sure why. Did you find those on SWF? i saw his pika. the only person he lost to was ally as snake. i know. i watched the whole thing. Actually, there's a tournament THIS WEEKEND on Sunday in northern New Jersey. when is the one in august? ahhh all this talk makes me want to get back brawlin. By weird al?!? EPIC WIN!!! The above has been a redundant and useless post. Good day, gentlemen. LOL, I didn't know you used Ganon.